RANS is one of America's largest light aircraft producers, and has been so since 1983. Among their many designs are no less than three Special Light-Sport Aircraft and the S-7LS is one them. Also available as a kit, the ready-to-fly S-7 is a joy to fly. A tandem seater with huge wide doors on both sides, S-7 works well as a floatplane. Other RANS SLSAs include the S-19 low wing and the S-6 high wing side-by-side. RANS is one of America’s largest light aircraft producers, and has been so since 1983. Among their many designs are no less than three Special Light-Sport Aircraft and the S-7LS is one them. Also available as a kit, the ready-to-fly S-7 is a joy to fly. A tandem seater with huge wide doors on both sides, S-7 works well as a floatplane. Other RANS SLSAs include the S-19 low wing and the S-6 high wing side-by-side. Part of the testing temporarily covered the exposed cylinder heads; see article. Rans designer Randy Schlitter is one of those restlessly creative types. Many aviators are aware he's created twenty airplane designs and these are not all variations on a theme. While a few are based on another, several are completely fresh approaches. Way back when, we used to joke about the Rans design-of-the-month club, so often did he emerge at an airshow with somethings we'd never seen. If that's not enough he's also been making bicycles for a few decades. (My wife and I each ride one and love them.) He runs Rans Aircraft and Rans Bicycles as side-by-side enterprises. Still not content, Randy does a bit of writing and has produced some artwork. My advice for most folks: don't try to keep up. Randy is likely to leave you far behind. So, when I saw an installment of his "Into the Flight" series — this one after flying one of his S-7 Couriers with a UL Power 350 engine installed — I asked if I could reprint it here. Randy graciously agreed. The following is by Randy Schlitter: "After a very successful show at Mt. Vernon, Illinois, I headed to Telford, Tennessee where Sam Kite had just started test flying an S-7S Courier with the UL Power 350iS engine. With a claimed 130 horsepower and a 68-inch Whirlwind prop, I was looking forward to validating their claims of increased performance. Sam has a plush grass airstrip located just outside Telford; I noticed the Smoky Mountains off to the South would provide a scenic reference point. From the air Tennessee looked like a random scrambling of roads, small towns, and farms. It would be easy to lose track of Sam's grass strip in the sea of lush green turf. Thank goodness for GPS, but I think the local pilots thought my concerns for reference a bit amusing. "Within minutes of arrival, which was late in the day, I was taxiing out in the 350iS-equipped S-7S. The rumble of the engine was encouraging. It makes an impressive deep sound, and is smooth at idle. I hoped this would be true at full power. My earlier experience with this engine was not encouraging; at full power there was a pronounced spike in the vibrations. Applying full power I learned the spike must have been specific to the airframe/prop combo (it was installed on a competitor's all metal low wing). Take off roll was short, the big 30-inch Alaskan Bushwheel tires rolled easy on the soft grass. Airborne in less than 200 feet, I climbed aggressively, mostly because it felt right, and the VSI wound up to 1,200 then settled on 1,000 fpm until established at 3,500 feet MSL. Watching the temps, everything was well under the limits; as Sam said during the briefing, there was no heating issue. "Throttle response was instant, a trait of fuel injection and small displacement. Another delight was how steady it held RPM at various angles of attacks and in turbulence. It reminded me of a larger Lycoming, where the torque is ample to hold RPM at a given throttle setting regardless of the prop loading. Smart throttle action, steady RPM, and a nice deep rumble made this a pleasant engine to fly. It was noticeably louder than a Rotax 912ULS, but well within what a good ANR headset can handle. "To call the 350iS a true 130 horsepower engine in my opinion is a stretch. The reason is the torque flattens out at 2800 RPM and around 115 horsepower. Having maximum torque at 2800 is a good thing. It means you could go to larger props, 70 inches would be nice, 72 inches better. The engine could actually still turn these up to 2800, then you would see more performance, perhaps as much as another 40 FPM rate of climb. Flying against a factory built S-7LS proved that engine does out climb the 100-hp Rotax. It compared to the difference we saw when flying the 80-hp Rotax against the 100 horsepower. The gains in climb also support a 15 horsepower increase, which computes out to 24% increase in climb rate (800 FPM to 992 FPM at gross weight). No real speed increase was measured, mostly because we could not compare apples to apples on the test planes. The good news it was doing 102 MPH, with the 30-inch Alaskan Bushwheels. There could be a decent cruise speed gain with the stock 6x800 tires. 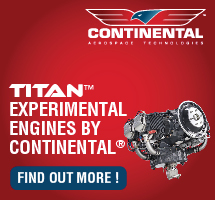 "Overall, the engine may be a winner, it is now in the engine's corner to prove its reliability. That sort of testing takes time. Our standard practice is to reach 200 hours without issues, once that is achieved then we feel comfortable about recommending an engine or creating a factory supported option. The following is a brief account of the testing done at Telford. "Service Ceiling: Climbed to 14,800 feet. Average rate 525 fpm to 10,000 feet at a weight of 1,250 lbs. No heating issues, little RPM drop off, around 200. Climb at Vx: 60 MPH IAS rate was 1,200 fpm lightly loaded, no heating issues. Climb at Vy: 75 MPH IAS rate was 800 to 1,000 fpm, no heating issues. Minimum power to maintain level fight: 3500 RPM. Fuel Consumption: 5.8 GPH, this needs much more testing to be reliable. Hot restart: No issues. Cold start: Notice cranking power of battery needs to be up, possible issue in cold weather. Aerobatics and fuel injection: No power interruption experienced, or oil starvation, no sustained inverted flight performed. Confirmation of Head Cooling: Covered cylinder heads and noted 25 to 30 degrees increase in CHT, still well within range, no oil temp increase. Note: [recommend] design cowling to circulate some air over heads in final cowl." Thanks again to Randy for letting us use his evaluation. For other news reports on the UL Power engines, click this link. Rans designer Randy Schlitter is one of those restlessly creative types. Many aviators are aware he’s created twenty airplane designs and these are not all variations on a theme. While a few are based on another, several are completely fresh approaches. Way back when, we used to joke about the Rans design-of-the-month club, so often did he emerge at an airshow with somethings we’d never seen. If that’s not enough he’s also been making bicycles for a few decades. (My wife and I each ride one and love them.) He runs Rans Aircraft and Rans Bicycles as side-by-side enterprises. Still not content, Randy does a bit of writing and has produced some artwork. My advice for most folks: don’t try to keep up. Randy is likely to leave you far behind. So, when I saw an installment of his “Into the Flight” series — this one after flying one of his S-7 Couriers with a UL Power 350 engine installed — I asked if I could reprint it here. GREEN MACHINE - RANS is widely known for the finish work on their factory demonstrators. The tandem 2-seater offers a wide range of visibility. WHITE IS RIGHT - This view of the cabin skylight shows how wide it is, with minor interference by its welded steel inner fuselage. BROAD VIEW - An idyllic view of an S-7 in a natural surrounding, you also see the large, open side windows, part of doors that measure 5 feet from front to rear. IFR FLIGHT? NOT! - RANS engineers provided for plenty of panel room by adding the lower section to accommodate radios and switches. No, this isn't an ideal IFR panel, but the S-7 wasn't created for that kind of flying. NOSE DETAIL - One of the most challenging aircraft parts to design is the engine cowling. There are lots of corners, yet you need to move air smoothly by the engine. RANS has it down. COMFY SEATS - In a change since my flight evaluation, RANS has added a metal plate to help assure the seat cushions offer the best support. Note the baggage area aft of the rear seat. Four-point seat belts are standard. BRACE YOURSELF - Dual cable brace sets assure a RANS tail stays solidly in position. The tailwheel is the breakaway variety where a short burst of power while pressing a rudder pedal can result in a very tight radius turn. Available Fully Assembled or as a Kit Unlike the flock of internationally designed Special Light-Sport Aircraft, RANS is a familiar name to Americans. Even closer to home, ultralight enthusiasts know the brand very well; ultralight aviation is the arena that gave designer Randy Schlitter his start. I first recall seeing the brand at Sun 'n Fun around 1984. And each year subsequently, it seemed, Randy showed up with something new. Not long into this profusion of new designs came the S-7. "The design of the S-7 originated out of the need to train [single-place] Coyote I pilots," Randy explains, "so the cockpit was set up the same with throttle on the left, and stick in the middle." Randy adds that he named the Courier in honor of one of his favorite planes, the STOLperforming Helio Courier. The S-7 Courier was the first 2-seater produced by RANS, dating to 1985 when the first prototype flew, succeeding the S-4/5 single-seater that kick-started the aviation business of the nowwell- known airplane manufacturer. The S-7 has grown over the years. Originally, empty weight on the Courier was a then-common, now-absurdly-light-sounding 390 pounds with a Rotax 503. The tandem 2-seater flew well on that low horsepower, but Randy notes they soon fitted it with the 65-hp Rotax 532 (which later become the Rotax 582 we know today). While developed extensively for two different certification systems, the simple S-7 Courier stayed true to form, a light, simple plane with traditional construction. In '02 the S-7C was introduced. This much-refined version was certified under FAA's then-new Primary category. It took RANS seven years of work to obtain the Type Certificate. A couple of years after the S-7C reached the market, the Kansas company introduced the S-7S, which they call "the kit form of the 'C.'" Because it falls within the weight, speed, and other parameters the S-7S can be flown with a Sport Pilot certificate or by a higher-rated pilot exercising the privileges of Sport Pilot. Since the SP/LSA legislation was introduced and after RANS declared compliance, the company can offer a fully built, ASTM-compliant version of the S- 7S designated the S-7LS. "This form of a ready-to-fly Courier is in production with deliveries being made all over the USA and beyond," says the company. For $89,000 you can purchase a fully equipped S- 7LS, with a Garmin GPS with moving map, and com radio plus transponder. So equipped, the S-7LS becomes a practical plane that also happens to be a fun sport plane. Have it Your Way Regardless of the value this $89,000 airplane represents, that's still too much dough for some people. Though offering a ready-to-fly SLSA version, RANS continues to offer and support a 51% kit version (more properly known as Experimental Amateur Built or EAB). If the Courier is for your own use, this is a fine choice, but you can't use it to train for hire nor may you rent it for compensation. At this time, RANS has no plans for an ELSA kit because they have concerns about people making unauthorized changes while officials still hold RANS responsible. A 51%-rule S-7 kit sells for $21,000 or $25,000 with the motor mount kit for a Rotax 912. The Quick-Build option adds $8,000 and will produce a kit with prebuilt wings with fuel tanks installed, and wings already covered in dope and fabric; prebuilt tail pieces with dope and fabric completed; prebuilt fuselage with covering complete plus installation of any parts that must be assembled prior to covering; and predrilled gear legs. Add an engine (a 100-hp Rotax 912S is currently about $19,000) and you'd be at $52,000. Including paint by RANS - for about $7,000 - an S-7 kit runs close to $60,000 before avionics, which makes the $89,000 SLSA ready-to-fly model look like a fair value, especially as you can use it for paid instruction, rental, or leaseback, things you can't do with a kit S-7. On the question of finishing a project you might start, RANS reports, "More than 95% of RANS kits are completed by the original buyer." Is a kit S-7 at $60,000 to $65,000 still too much for you? A base-priced S-7 kit with an 81-hp Rotax 912 costs less than $44,000, but it won't be painted or have any instruments. If this is still more than you can spend, RANS feels your pain. Ultralight enthusiasts can still select an S-12 Airaile with the perfectly workable Rotax 503 and motor mount for a significantly more modest $21,350. The trouble is, one flight in an S-7 Courier could spoil you; another airplane, even another RANS model, may not do the job. Courier Love Except for the RV-like S-16 Shekari, I think I've flown every model RANS has put in production. Ironically, the S-7 Courier was the last one I flew. I say ironically because after an hour and a half with Randy flying out of Peter O. Knight airport south of downtown Tampa, Florida, I think I found my favorite RANS model. I've enjoyed them all, for different reasons, but the Courier is a sweet flying machine. In a nutshell, the S-7 performed better then I expected (a surprisingly low sink rate, for example), handled more crisply than I expected, was easier to enter than I expected, and offered a better viewing platform than many airplanes. In flight, the S-7LS revealed a low instrument panel line, providing a generous overthe- nose view. Side windows that are a full 5 feet wide combine with a long skylight to greatly open the view and light the cockpit. Superior visibility makes aerial sightseeing a thing of genuine joy. Simple, comfortable seats (another RANS trademark) adjust fore and aft. Randy reports, "We [recently] improved seat comfort immensely by adding a sheet backing to the upper seat. This forces the cushions to rest on top of the frame, presenting much more foam against the back." Equipped with aileron spades that cut forces at the joystick in half, reduce adverse yaw, and increase roll rate, the Courier handles beautifully. Cranking and banking is as fun as whirling about in a jet ski on water. Yet the spades seem to offer plenty of feedback and pressure to assure good airborne manners. Although RANS' entry to the LSA race was a bit delayed, people who wondered if Randy Schlitter would produce an LSA don't know the designer well. No mere survivor, Schlitter is one of light aviation's leading veterans, a seasoned aviation businessman who competitors don't underestimate. 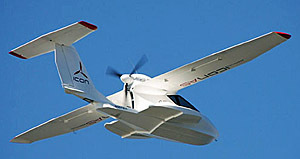 The S-7LS - as we now know the ready-to-fly SLSA version - won its certificate on October 24, 2005. Only two weeks after this benchmark date I had the pleasure to fly the S-7LS with Randy in the aft seat. The Courier's outside door handle is also used as a holdup swinging inside a rod that hangs down from the underside of the wing in just the right place. Randy advised that I enter the front seat by starting in front of the wing strut, then simply sit down in the seat and lift one knee and leg up and over the joystick. RANS Courier is frequently compared to one of the Cub remakes, but it's really a different aircraft in many ways. For one, the S-7 Courier will better accommodate large pilots as well as those less flexible. Gaping 60-inch-wide (fore to aft) doors on each side facilitate entry like few other high-wing aircraft. 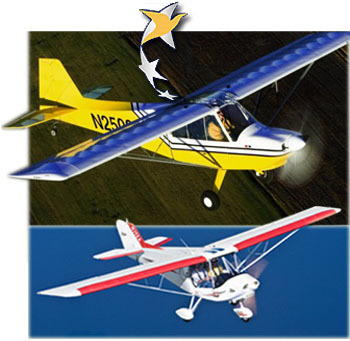 RANS has produced more than 450 S-7 Courier models in all forms, making it the third most popular RANS model after the S-6 series and the S-12/14 Airaile models. By the end of summer '08, RANS reports they will have delivered more than 4,500 aircraft, a level reached by few airplane producers, especially telling since nearly all of these were kits. 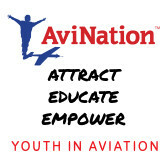 Clearly, RANS is one of light aviation's success stories. Visibility from the S-7 surprised me. From the outside, the Courier does not appear to have the openness I experienced when seated inside. The extensive skylight gives a good upward view and adds visibility in turns. Through large, side windows I could see aft, forward, and laterally better than from most airplanes I've flown. The flap lever was a little challenging Randy said they haven't quite figured out the right place to put it. Some similar designs put the flap lever on the left side since no door is provided in that location. But since the S-7LS opens on both sides, RANS engineers didn't have that option. So for now the lever is a long reach, especially when the flap lever is in the low position. I found it best to reach the flap handle by reaching around my left leg. Since my flight, RANS has continued refining the aircraft. Randy reports, "We have solved the flap lever reach problem. The SLSA version how has an inertia reel on the shoulder strap, and is an option for the kits and rear seats, too." The S-7LS flaps offer two deployed positions. Randy says the lever uses the two-detent positions in the lever to address what the FAA inspector expected to see, so it could not be an infinite adjusting control. The fuel selector value is down just to the left of the flap handle. You always check this before takeoff, of course. Courier STOL Thanks to precise, authoritative tailwheel steering, taxiing the S-7 was easy and visibility was reasonably good for a taildragger. Before we launched for the first time, I asked about the proper rotation speed and Randy said, "Ah, don't worry about it. Just leave the stick at neutral and it will fly itself off the ground." I've flown with the designers of many aircraft and often they are rather nervous about a reporter trying things to evaluate an aircraft. Contrarily, Randy appeared utterly relaxed, acting as though nothing I might do would upset him or the airplane. We'd flown a few of his designs together so I was prepared for his casual attitude. Also from experience, I knew he was keeping a sharp eye on things. On both of my takeoffs, I probably was holding a little toe brake. I found the takeoff slightly more challenging than the landings when considering rudder applications. Both seats have rudder with toe brakes. The toe brake control is a loop of steel positioned on top of the rudder pedal. My landings were on the firm side because I tended to flare too deeply. Randy's advice was not to rush the landing and let it down gently. Most times that I've flown with Randy, he's told me I was "trying too hard." While he may be right with that advice, I push to get all I can out of the hour and a half I spend on a flight evaluation. Consequently, I overflared the aircraft instead of relaxing and letting the aircraft settle. While you hardly let it land itself, the taildragging S-7LS is quite cooperative in a phase of flight often considered difficult by tricycle-gear pilots. If you have a fear of taildraggers, go up with someone used to teaching in taildraggers and you may find your concerns are unfounded. One of the most impressive aspects of the S-7 is the design's energy retention, which can assist in landings. The Courier displays an ability to hang in the sky even while dragging full flaps. Randy observed that an airplane that retains energy well and glides well will generally do other things well. Therefore, he and his development staff worked hard to improve energy retention. The S-7 uses the same wing profile as some of RANS' other designs. Slipping to landings also proved very effective. I had to use slips on the first landing as I had only set one notch of flaps and the S-7 simply wasn't descending as quickly as I'd planned. You approach at 50 mph. I didn't observe speed at touchdown, but when doing stalls, buffeting started at about 40 mph so you won't want to slow much below 50 mph until you are experienced with the S-7LS. Dutch rolls in the S-7LS went well. I used the stick more than the rudder, as the rudder is a very powerful control. Despite this, Randy says most pilots overuse the stick and under-use the rudder. It only takes a touch of rudder pedal to keep things coordinated so I can understand why some pilots ignore the pedals altogether. Steep turns in the S-7 also went very well. This tried-andtrue model held altitude and bank very easily. However, turns to the right required quite a bit more rudder during the turn. At his suggestion, I turned the controls over to Randy and with the master's hand manipulating the joystick, barrel rolls and loops went beautifully. Randy says the high-lift airfoil helps it perform loops. I noted that we entered the maneuver at 110 mph. In keeping with my normal search for the least noise and vibration while aloft, I settled on cruising at 5,100 rpm, which produced about 90 mph. Randy stated that at higher cruising altitudes he sees about 100 mph and will burn about 4 gallons an hour. He liked my power setting for reasons of economy but in typical Schlitter style, he added, "If daylight is more expensive than fuel, you can set power at 5,500 rpm." At the higher power setting, Randy says you can achieve 110 mph if you are lightly loaded. When more heavily loaded, you may pay a 10-mph penalty. Once again, this proves the value of keeping an airplane as light as possible. As with Dutch rolls, I always perform a full series of stalls: power-on, power-off, and accelerated, with each done mildly at first and then more aggressively. The S-7LS rolled level in accelerated stalls, a most satisfying response. Modest power-on and very mild power-off stall recoveries showed RANS has worked all the bugs out of this 20-yearold design. All S-7 models provide 9 gallons of fuel per side for a total of 18 gallons, or around 3 hours of endurance equating to about 350 miles of range. Fuel tank sight gauges are mounted on each wing root to help you easily keep an eye on remaining fuel quantity. Courier Purchase? Given all the pricing choices - kit, Quick-Build kit, or SLSA - you may be thinking you could afford one of these great-flying Light-Sport Aircraft. A few more details could firm up your decision. Courier seats are upholstered and adjustable with 4-point lap and shoulder belts just like all RANS models. A baggage compartment will hold 50 pounds of gear. This is an airplane for local fun flying but also for longer cross-country trips. Both seats have dual controls including throttle, control stick, rudder pedals, and brakes with a park brake feature plus carburetor and cabin heat. Electric elevator trim is provided as standard on the forward control stick, and a fire extinguisher is also standard. On the panel, the S-7LS is well configured with a GPS-COM. Buyers are given a choice of either a King KLX 135A, or Garmin GNC 250XL. You also get a transponder with encoder in a choice of either King KT-74A or Garmin GTX 320A, a PS Engineering intercom, and an ELT with test controls on panel. Basic panel instruments include airspeed, altimeter, a VSI, tachometer, engine hourmeter, compass, slip indicator, CHT, an outside air temperature gauge, oil temperature and oil pressure gauges, and a voltmeter. RANS delivers all this equipment for $89,000, including the 100-hp Rotax 912S engine. Compared with many European designs testing or exceeding $125,000, an S-7LS looks like a solid bargain. Finance programs are available to allow payments to make the purchase more tolerable to some buyers. 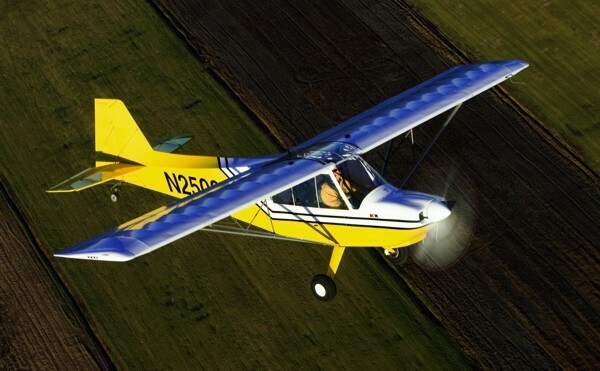 Randy comments, "The S-7LS is a charmer, a well-loved plane with outstanding STOL performance." He added that it manages a 100-knot cruise with about 500 pounds useful load, making it a practical plane that can also handle lots of landing surface and crosswinds. Given an easy entry and exit with broad visibility, good manners, and pleasant handling, the S-7LS is an airplane with considerable appeal. In every way this plane retains the nostalgic fun flying of the past with the advantage of advances in aerodynamics, engines, materials, and manufacturing processes. Easy or not, the Courier is a taildragger and some buyers will have to overcome their apprehension about that. Insurance for taildraggers is not particularly challenging to obtain, at least not for those with logged taildragger time. For tricycle- gear pilots making the transition, you may need to acquire 25 hours or so with an instructor before an insurance company will accept the risk. Several schools exist to provide such training, but you may have to travel further than your local airport to find such instruction. If you can't justify spending $89,000 for a ready-to-fly aircraft, you may elect one of the kit versions discussed in this article. You could save $20,000 or more by going the kit route and RANS has long experience at supporting kit builders. Given how much you may like the flight qualities of the S-7 Courier, investing some build time in a S-7 kit may help you possess your own Made-in-America Light-Sport Aircraft. Standard Features Rotax 912 with electric starter, basic panel instruments, flaps, very wide doors on both sides, hydraulic brakes, adjustable seats, electric flaps and pitch trim, dual controls, cabin heating, 4-point seat belts, ventilation, baggage area. Options Numerous additional instrumentation including glass displays, radio choices, lighting packages, fuselage covers. Construction Welded steel airframe, fiberglass cowl and wheel pants, fabric-covered wing, fuselage, and tail skins. Made in the USA; distributed to American dealers by American manufacturer. Pros - RANS is a long-time supplier and a successful one: 4,000+ airplanes delivered. Sturdy, well-proven welded steel fuselage. Tandem 2-seater gives great visibility for each occupant and is easier to negotiate entry than other tandems. The Courier is a well-harmonized airframe design that can please most pilots. Cons - Many instructors who want to see their students' eyes do not prefer tandem seating. Taildraggers cause apprehension among some buyers and will require extra instruction to gain insurance if no prior experience has been logged. Fabric covering appears old-fashioned to some buyers. Pros - Flaps are effective though slips also work very well; two-detent positions tell the position by tactile feel alone. Trim is electric with infinite adjustment (though no indicator other than outside visual check). Conventionally trained pilots will appreciate toe brakes at both seats. Cons - Trim is located only on the forward. Flap lever is a bit challenging to reach (see article for improvement); I went outside my leg and struggled to reach a zero-flaps position. No flap position indicated (though the surfaces are just outside the cockpit and easily verified visually). Pros - Panel space isn't large but has plenty of room for all you need. All controls within an easy grip (though I stretched a bit to fully retract the flaps). Seats adjust and, though they look small, will be comfortable for all but the largest Americans. Unusually wide doors offer lots of visibility and ease entry. Cons - Rear seat, as in most tandems, has no engine controls except throttle. No trim in rear (without optional choices). Instruments are harder to see from rear (without adding optional rear instrumentation; even then limited by space). Tandem seating will limit the number of resale buyers. Pros - The S-7 is better suited to off-field landings than most SLSA (especially tri-gear models). Toe brakes aid ramp maneuvering. RANS-brand full-swivel tailwheel works well.Wide-open visibility in most all directions thanks to 60-inch-wide doors and overhead skylight, plus a low instrument panel. Cons - Rear-seat visibility is less open (though still better than many tandem designs). Turn radius seems wide until you break loose the full swiveling tailwheel. Though the S-7 proved to be a docile taildragger, they all take more attention than tri-gear designs. Pros - Visibility during takeoff and landing is excellent, even for a taildragger. The S-7 likes to ease down to an unchallenging landing (full-stall landings weren't as successful). Flaps help steepen approaches, though slips are also highly effective (and don't demand a reach to the flap lever). Excellent energy retention and strong glide help landing ease. Cons - Taildragger landings require more attention than tri-gear landings (though the S-7 is less challenging than many taildraggers I've evaluated). Landings from the rear seat definitely require more experience. Best to let the S-7 land "in its time," which may be difficult for those who want to control landings. Pros - Adverse yaw was surprisingly modest, perhaps owing to the spade-equipped ailerons of the S-7. Reversing 45° bank turns (Dutch rolls) went well to good angles, a reliable sign of good handling. Controls felt crisp even down to stall break. Handling in crosswind conditions posed little challenge. Rudder is powerful. Cons - Spades make for handling lightness that not all pilots may appreciate even if you can get used to them quickly. You can overuse the rudders, as the surface is potent (though this can work well for conventionally-trained pilots not used to much rudder input). Pros - Climb is more than adequate at 850 fpm. Cruise is good for this configuration and construction; 100-mph speed is easily achieved at modest fuel burn. Sink rate was low and glide was long - good benchmarks for overall performance in light planes. Slow flying is very pleasant and easily controlled. 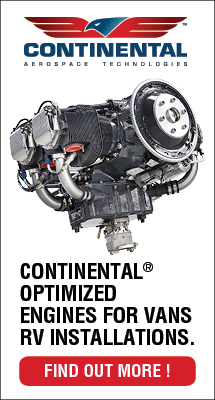 Cons - The Courier has gained quite a bit of weight as engines increased to the heavy Rotax 912 from the light Rotax 503 2-stroke; performance (and handling) commonly suffer from additional weight. Endurance with 18 gallons on board is less than many SLSA offerings (which frequently carry 25 to 30 gallons). Pros - All stalls showed benign qualities with no significant breakthrough. Accelerated (banked) stalls rolled to level. Longitudinal stability tests were positive. Lateral stability check showed no tendency to wrap up tighter. Steep turns held bank angle easily (even without adding excess power). Cons - Throttle response lagged slightly before going in the proper direction; that is, on power-up, the nose rose slowly though on power-down the nose dropped somewhat faster than expected (before recovering virtually on its own). No spins attempted because no parachute was installed. Pros - Given many price options (and optional extras) the S-7/S-7LS offer choices for most budgets (and if not, you could always choose a 2-stroke-powered S-12). Reliable airplane with many years of user experience. RANS is one of the most solid businesses in U.S. light aviation, an excellent choice for those concerned with international purchases. Cons - At $89,000, an S-7LS may have a reasonable price point, but it's still a lot of money for many light plane enthusiasts (though, as the article clarifies, you have ways to lower the cost). Taildraggers simply aren't for everyone, a fact that may affect your eventual resale. Tandem seating also isn't for everyone. Available Fully Assembled or as a Kit Unlike the flock of internationally designed Special Light-Sport Aircraft, RANS is a familiar name to Americans. Even closer to home, ultralight enthusiasts know the brand very well; ultralight aviation is the arena that gave designer Randy Schlitter his start. I first recall seeing the brand at Sun ‘n Fun around 1984. And each year subsequently, it seemed, Randy showed up with something new. Not long into this profusion of new designs came the S-7. “The design of the S-7 originated out of the need to train [single-place] Coyote I pilots,” Randy explains, “so the cockpit was set up the same with throttle on the left, and stick in the middle.” Randy adds that he named the Courier in honor of one of his favorite planes, the STOLperforming Helio Courier. The S-7 Courier was the first 2-seater produced by RANS, dating to 1985 when the first prototype flew, succeeding the S-4/5 single-seater that kick-started the aviation business of the nowwell- known airplane manufacturer. New European regulations could create a huge new market for U.S.-built aircraft like the IndUS Thorpedo (especially their new diesel! 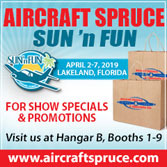 ), Quicksilver GT500, AMD CH-601 XL, Legend Cub, CubCrafters Sport Cub, Rans S-7LS or S-19, Just Aircraft Highlander, and more. Plus, consider how inexpensive the re-exported X-Air LS would be...just 29,800 euros! If that headline didn't cause you to turn away in boredom, let me tell you why it's important: American producers of LSA could find a golden opportunity. Broader acceptance of ASTM standards is good for the global LSA producer community. 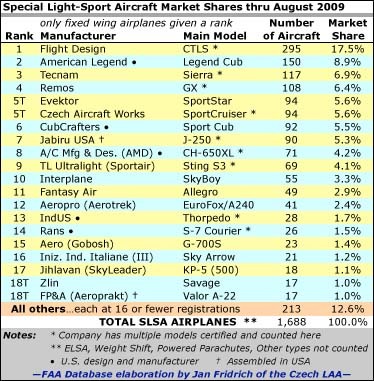 But the main impact may be for Light-Sport Airplanes made in the U.S. of A. *** Though the example applies to any U.S.-built airplane, let's take a ready-to-fly Rans S-7LS, selling for $85,000 in America. Today's exchange rate is 1.58 dollars to 1.00 euro. So, a European pilot who buys an S-7LS will pay 53,800 euros (plus shipping, taxes, etc.). For EU residents, spending one euro feels much the same as it does for an American to spend one dollar. Yet when they receive 53,800 euros for an S-7LS, Rans earns a similar profit as from an $85,000 sale in the USA. *** LAMA president Tom Gunnarson -- in the Czech Republic today for a show and meetings with EASA (like FAA) officials -- said that under European Light Aircraft (ELA) category 1, "EASA is proposing to create a Certification Specification for Light Sport Aeroplane (CS-LSA)...having a max takeoff weight of 600 kg, the same as an American LSA." With LAMA board member and European representative, Jo Konrad, Gunnarson is attending EASA meetings to assure LAMA members are well represented. If that headline didn’t cause you to turn away in boredom, let me tell you why it’s important: American producers of LSA could find a golden opportunity. Broader acceptance of ASTM standards is good for the global LSA producer community. But the main impact may be for Light-Sport Airplanes made in the U.S. of A. *** Though the example applies to any U.S.-built airplane, let’s take a ready-to-fly Rans S-7LS, selling for $85,000 in America. Today’s exchange rate is 1.58 dollars to 1.00 euro. So, a European pilot who buys an S-7LS will pay 53,800 euros (plus shipping, taxes, etc.). For EU residents, spending one euro feels much the same as it does for an American to spend one dollar. Yet when they receive 53,800 euros for an S-7LS, Rans earns a similar profit as from an $85,000 sale in the USA. *** LAMA president Tom Gunnarson — in the Czech Republic today for a show and meetings with EASA (like FAA) officials — said that under European Light Aircraft (ELA) category 1, “EASA is proposing to create a Certification Specification for Light Sport Aeroplane (CS-LSA)…having a max takeoff weight of 600 kg, the same as an American LSA.” With LAMA board member and European representative, Jo Konrad, Gunnarson is attending EASA meetings to assure LAMA members are well represented. RANS entry into the S-LSA world is the S-7LS, which the company's offering at the more attractive price of $75,000 fully equipped. The S-7 has been in the RANS line for 20 years. It's easy in and easy out of the RANS S-7SL | or any S-7 model, for that matter. Doors open an expansive 60 inches wide on either side and can be hooked to the lower surface of the wing to enjoy open air flying or ease entry or exit on floats. Visibility from the S-7 is expansive, with the overhead skylight and all-Lexan doors. Panel space on the tandem-seater is at a premium, but RANS fits all the necessary flight and engine instruments with room for a Bendix/ King or Garmin combination GPS/COM unit. Here, the Bendix KLX 135A is installed. (Inset) Note the toe brakes on the rudder pedals (on both front and back pedals). RANS President Randy Schlitter inspects the Rotax 912S engine prior to a flight during the U.S. 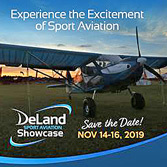 Sport Aviation Expo in Sebring. Site gauges for the 9-gallon wing tanks are mounted in the wing roots-a quick glance confirms remaining fuel in either tank. You've probably heard the tongue-in-cheek expression, "No good deed goes unpunished." RANS President Randy Schiitter knows this saying in a way no other light-sport aircraft (LSA) producer can. When the company's S-7 Courier earned special light-sport aircraft (S-LSA) approval on October 24, 2005, it was the second time this aircraft was certificated as a ready-to-fly (RTF) airplane, after first being designed as a kit. RANS earned Primary Category certification for this aircraft, as the S-7C model, 10 years ago when that FAA regulation was the latest big thing in aviation. It took the Kansas company years to complete that certification process, but the recreational pilot certificate and Primary Category certification failed to meet industry expectations. After spending lots of time and money earning that approval, RANS didn't jump on the LSA bandwagon immediately. The S-7 Courier was the first twoseat aircraft produced by RANS, dating to 1985 when the first prototype flew. It succeeded the single-seat S-4/5 Coyote I that kick started the life of this now well-known airplane manufacturer. Always in the Game Those who wondered if Randy/RANS would participate in the LSA industry don't know the designer well. It was only a matter of time before RANS joined the S-LSA procession. The S-7LS is the ready-to-fly S-LSA version. I had the pleasure to fly it with Randy in the aft seat. Although I've flown most of RANS models, I'd never flown the S-7. We launched from the Peter O. Knight Airport on Davis Island in Tampa, Florida, and flew above the azure waters of the Gulf of Mexico. The RANS S-7 is often compared to a Cub, but it's a different aircraft in many ways-not to take anything away from Piper's original aircraft, the three Cub replicas playing in the LSA field, or the Citabria, to which the S-7 is also compared. One distinction is the S-7 will better accommodate large pilots as well as those who are less flexible. Its gaping 5-foot-wide (fore-to-aft) doors on each side facilitate entry like few other high-wing aircraft. Randy recalled the development of the S-7 in the mid-1980s. "The S-7 originated out of the need to train Coyote I pilots." Thus the S-7s cockpit was set up identically to the left-side throttle and center stick configuration of the single-place Coyote I. Over the years the S-7 stayed true to form. It remains a light, simple plane with traditional construction. When sales of the S-7C proved sluggish-the fault of the FAA's non-starter Primary Category program rather than the airplane's flying qualities-RANS introduced the S-7S in 2003 as a kit form of the C model. Since then, Randy said, "We've enjoyed strong sales of this much-refined fun flyer." 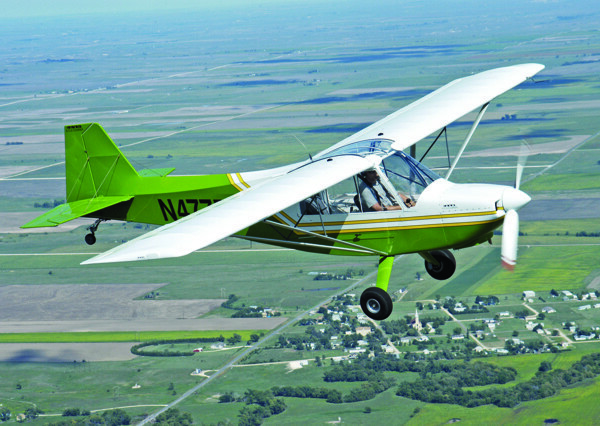 RANS has produced more than 420 S-7 Courier models in all forms, making it the third most popular RANS model after the S-6 series and the S-12/14 models. Since winning S-LSA approval, RANS is offering a fully equipped S-7LS for $75,000. Included in this purchase are such amenities as a Garmin moving map GPS/COM, and a transponder. Though it represents something of a bargain among S-LSA, $75,000 still may prove to be out of many readers' budgets. Luckily, the emergence of the S-LSA model didn't stop production of the S-7S kit version. "If you have the desire to build," Randy explained, "there's still a kit available." When I asked about the number of S-7LS the company planned to produce annually, Randy stated it would build 24 S-LSA in 2006, a rate of two aircraft a month. 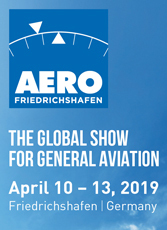 Many of the European manufacturers are gearing up for four to eight times this production, but they don't have the substantial business RANS has in kit aircraft. RANS can afford to enter the RTF market in a more cautious manner while it works out the details of production. RANS may choose to increase its S- 7LS production in 2006, but the company is also working on an S-LSA version of its S-6ES Coyote II, with a slightly tapered wing and conventional, stamped-aluminum ribs that will differentiate it from earlier S-6 models. Budget-conscious buyers read carefully: Randy believes he can sell the S-LSA S-6ES for $57,000. At this price, RANS could sell many of these aircraft; it's already the company's most successful design. (In mid-2005, RANS delivered its 4,000th aircraft, a record not attained by many other airplane producers. This is especially telling because nearly all were kits.) Checking Out the Aircraft When I arrived at Peter O. Knight Airport, Randy was flying with a customer, and I watched with interest as the plane performed in the warm, humid air of central Florida. After the short promotional flight, Randy returned, and it was my chance to become acquainted with the tandem two-seater. Walking around the aircraft, I noted the S-7LS' outside door latch does double duty as a hook to hold the door up and open, using a rod that hangs down from the underside of the wing (a nice feature for float-equipped S-7LS). Those wide doors make any S-7 easy to enter; simply position yourself in front of the wing strut, then sit down and lift one leg up over the joystick. The start-up procedure calls for the master switch on and avionics master off, and then a key start like all Rotax 912s. The joystick in this S-7LS had a push-to-talk button on the front stick, and electric trim on both sticks. Visibility from the S-7 is quite amazing. From the outside, the aircraft does not appear as wide open as it does once seated inside. The extensive skylight gives a good upward view plus adds visibility in turns. Through large side windows you can see aft and forward better than in most airplanes I've flown. Naturally, the high-wing design offers excellent sightseeing. The flap lever, located on the floor, is a little challenging to reach. RANS hasn't quite figured out the right place for it. Some similar designs put the flap lever on the left, but because the S-7LS has doors on both sides, RANS engineers didn't have that option. For now, the lever is a long reach, especially when the flap lever is in the lowest position. I found it best to reach around my left leg. Pilots who get familiar with the S-7 will find their own technique. The flaps offer two deployed positions, but Randy said that was done to address what the FAA inspector expected to see on an S-LSA; the flaps could have an infinite adjustment on a kit-built S-7S. The fuel selector valve is just to the left of the flap handle. Ready to Roll Taxiing the S-7LS was easy. Many conventionally trained pilots fret over handling tailwheel airplanes. Some new sensations must be learned, and your feet do need to remain active on the rudder pedals, unlike many tri-gear designs. But the S-7LS' tailwheel steering was quite precise and authoritative. It didn't wallow around. Later, I would discover the relative ease of landing this taildragger. I asked about the proper rotation speed, and Randy said, "Don't worry about it. Just leave the stick at neutral, and the aircraft will fly itself off the ground." On both my takeoffs I probably was holding a little toe brake. I found takeoffs slightly more challenging than landings when considering rudder applications. (Most pilots believe taildragger landings are the harder task.) Both seats have rudder pedals with toe brakes. The toe brake control is a loop of steel positioned on top of the rudder pedal. My landings were on the firm side because I tended to raise the nose too much. Randy's advice was not to rush the landing and let it down gently. Most times I've flown with him, he's told me I was "trying too hard." Consequently, I overflared the aircraft instead of relaxing and letting it settle. While it hardly lands itself, the S-7LS is quite cooperative in this phase of flight often considered difficult by tricyclegear pilots. If you have a fear of taildraggers, go flying with someone who instructs in taildraggers, and you may find your concerns are unfounded. One of the most impressive aspects of the S-7LS that can assist in landings is the design's superlative energy retention. It displays quite an amazing ability to hang in the sky, even with full flaps. Randy observed that an airplane that retains energy well and glides well would generally do other things well. Therefore, energy retention was something on which he and his development staff worked hard. Slips to landing also proved effective. I had to use slips on the first landing as I had only set one notch of flaps, and the S-7LS simply wasn't descending as quickly as I'd planned. The S-7LS' approach speed is 50 mph. I didn't observe our speed at touchdown, but when doing stalls, buffeting started at about 40 mph, so you wouldn't want to slow much below 50 mph until you are experienced with the airplane. Handling Performance Some folks tease me about doing Dutch rolls during my flight reviews. These maneuvers are coordination exercises and not the least bit aerobatic. Performing them tells me a lot about how an airplane handles, so they are regular part of my evaluation. Dutch rolls in the S-7LS went well. I found I needed to use the stick more than the rudder, as the rudder is powerful. Despite this, Randy said most pilots overuse the stick and under use the rudder. It only takes a bit of rudder pedal follow through to keep the aircraft coordinated, so I can understand why some pilots ignore the pedals altogether. Steep turns in the S-7 were also uneventful. The aircraft held altitude and bank easily. However, turns to the right required quite a bit more rudder. At his suggestion, I turned the controls over to Randy and, with the master manipulating the controls, barrel rolls and loops went beautifully. He says the high-lift airfoil helps it perform loops. We entered the maneuver at 110 mph. The S-7LS' ailerons seemed a bit heavier than I expected. When I remarked about this, Randy said he agreed and thought the cable rigging on this particular aircraft was a bit tighter than optimal. This test S- 7LS Courier had a total of 844 hours logged, yet it flew as though it were a new airplane. While aloft, in keeping with my normal search for the power setting with the least noise and vibration, I settled on cruising at 5100 rpm, which produced about 90 mph. Randy said at higher cruising altitudes he sees about 100 mph at that setting and a fuel burn of about 4 gph. He likes that power setting as an economy setting, but he added, "If daylight is more expensive than fuel, you can set power at 5500 rpm." At the higher power setting Randy said you can achieve 110 mph if you are lightly loaded. When more heavily loaded, you may pay a 10-mph penalty. Once more, this proves the value of keeping an airplane as light as possible. All S-7 models carry 9 gallons of fuel in wing tanks, for a total of 18 gallons, or more than four hours' endurance, equating to a 400-mile-plus range. Fuel tank sight gauges are mounted on each wing root. A slight turn of your head gives a clear indication of the remaining fuel. As with Dutch rolls, I always perform a full series of stalls: power-on, power-off, and accelerated, with each done mildly at first and then more aggressively. The S-7LS rolled level in accelerated stalls, a most satisfying response. Modest power-on stalls and mild power-off stalls showed RANS has worked all the bugs out of this 20-yearold design. Will the S-7LS Be One of Your Favorites? Besides refining the aerodynamic forces and controls of the S-7 during its twodecade life, RANS has also chosen the features and equipment that assure the airplane pleases its customers, whether they be S-7S kit-builders or those buying ready-to-fly S-7LS models. All S-7 variations include those 60- inch wide doors on each side with double air vents (a fact much appreciated in Florida's warm, moist air). Upholstered, adjustable seats are equipped with four-point lap belts and shoulder harnesses, standard on all RANS models. A baggage compartment will hold 50 pounds of gear. Electric elevator trim is standard on the forward control stick, and a fire extinguisher is also standard. On the panel, the S-7LS is well configured with a moving map GPS/ COM. Buyers are offered a choice of either the King KLX 135A or Garmin GNC 250XL. You also may order a transponder with encoder (with a choice of either a King KT-74A or Garmin GTX 320A), a PS Engineering Intercom, and an ELT with test controls on the panel. Other standard instruments include airspeed indicator (ASI), altimeter, a vertical speed indicator (VSI), tachometer, engine hour meter, compass, slip indicator, cylinder head temperature (CHT), an outside air temperature gauge, oil temperature and pressure gauges, and a voltmeter. Both seat positions have dual controls including throttle, control stick, rudder pedals, and brakes, with a parking brake feature plus carburetor and cabin heat. 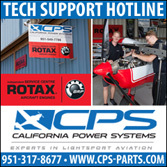 All this equipment is delivered at a price of $75,000, including the Rotax 912S 100-hp engine. Compared to many European designs approaching (or exceeding) the $100,000 price point, an S-7LS is a relative bargain. Given easy entry and exit, forgiving slow flight, and pleasant handling, the S-7LS is an airplane with broad appeal. It manages a 100-knot cruise with about a 500-pound payload, making it a practical plane that can handle lots of landing surfaces and crosswinds. In every way, this plane retains the nostalgic fun flying of the past with the advantage of advances in aerodynamics, engines, materials, and manufacturing processes. Of course, it is a taildragger, and some buyers will have to overcome their apprehension about that. Insurance for taildraggers is not particularly challenging to obtain, especially for those with taildragger time logged. Tri-gear pilots making the transition will need some time with a taildragger instructor. This training is available, but you may have to travel further than your local airport to find it. Delivery times for the flyaway S-7LS are about 5 to 6 months, Randy said in early 2006, but that lead-time is expected to shorten as production increases over the next few months. Check with RANS for the current information. If you can't justify $75,000 for a RTF airplane, you may elect the S-7 kit that has proven itself over many years. The base price for a complete kit, without the engine or engine mount kit, runs about $19,000. 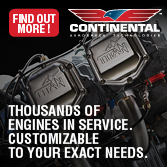 Add the 912S engine installation kit from RANS for $4,300 and a Rotax 912S UL engine for $13,900, for a total of just over $37,000. (Prices can fluctuate on the imported engine, so call the factory for the latest figure.) You'll still need to add instruments to match the factory's RTF airplane, but nonetheless you can get airborne in a fine flying machine for less than $45,000, not considering the value of your labor. Given how much I expect you'll like the flight qualities of the S- 7, that's genuinely a bargain for a fine American airplane. What are you waiting for...stop dragging your tail and start enjoying light-sport flying in an S-7LS! You’ve probably heard the tongue-in-cheek expression, “No good deed goes unpunished.” RANS President Randy Schiitter knows this saying in a way no other light-sport aircraft (LSA) producer can. When the company’s S-7 Courier earned special light-sport aircraft (S-LSA) approval on October 24, 2005, it was the second time this aircraft was certificated as a ready-to-fly (RTF) airplane, after first being designed as a kit. RANS earned Primary Category certification for this aircraft, as the S-7C model, 10 years ago when that FAA regulation was the latest big thing in aviation. It took the Kansas company years to complete that certification process, but the recreational pilot certificate and Primary Category certification failed to meet industry expectations. After spending lots of time and money earning that approval, RANS didn’t jump on the LSA bandwagon immediately. The S-7 Courier was the first twoseat aircraft produced by RANS, dating to 1985 when the first prototype flew. 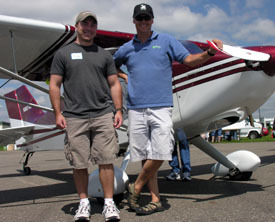 One Sport Pilot enthusiast who flew with Randy at the Sport Pilot Tour was my physical therapist, Blake Beutow (left). Blake and others have been helping me regain strength after my April accident; I'm happy to report excellent progress. So, it was a pleasure to reward Blake's services by arranging a couple demo flights. 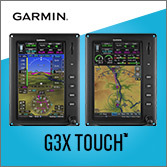 You'll soon be able to purchase a fully equipped S-7S for about $75,000 with Garmin moving map GPS/COM and transponder. An S-7S ELSA kit should save money; the airframe kit starts at $18,900. Email RANS. The race continues and yesterday it was joined by another American producer. The race is to obtain Special Light Sport Aircraft airworthiness certificates, allowing an airplane to be fully built and sold for instructional use or rental. A company with an SLSA approval can also elect to sell an ELSA kit. RANS plans to do both. Welcome to #17 in the list of shiny new SLSA. RANS will be bringing the model to the AOPA Expo in just a few days. 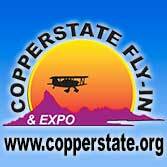 Come see it -- and most other SLSA -- in the special LSA area of the AOPA Expo airport display. RANS is perhaps the largest producer of aircraft in the LSA general description and they passed a major milestone in June 2005 when they delivered their 4,000th model since that first S-4/5 Coyote Ultralight. "Most of the dozen models RANS builds [except S-16 Shekari]...fit into the light sport plane category," says designer Randy Schlitter. The race continues and yesterday it was joined by another American producer. The race is to obtain Special Light Sport Aircraft airworthiness certificates, allowing an airplane to be fully built and sold for instructional use or rental. A company with an SLSA approval can also elect to sell an ELSA kit. RANS plans to do both. Welcome to #17 in the list of shiny new SLSA. RANS will be bringing the model to the AOPA Expo in just a few days. Come see it — and most other SLSA — in the special LSA area of the AOPA Expo airport display. RANS is perhaps the largest producer of aircraft in the LSA general description and they passed a major milestone in June 2005 when they delivered their 4,000th model since that first S-4/5 Coyote Ultralight. “Most of the dozen models RANS builds [except S-16 Shekari]…fit into the light sport plane category,” says designer Randy Schlitter.